In part 1 of my How to Practise series, I’m going to give you a framework for practising focusing. Ryu wrote about having a “keeper rate” of 2-6% when he shoots an event. 20 odd images from 600-900. When I started shooting sports I had a keeper rate of about 100%. I never discarded any images and thought they were all perfect. I saw beauty in every image. As time went by, I started looking over my old images and found that I didn’t like a lot of them. Then I started looking at them more critically and I noticed that the ones I didn’t like were the ones that were not in focus. Something I hadn’t really noticed when I first looked at the photo. Having come from shooting film in the era of manual focus lenses and film where it’s impossible to check a photo’s focus until the film’s been processed and a photograph printed, I never placed much emphasis on whether a photo was in focus. When you print something out as a 4 x 6, images that are not in focus doesn’t look too bad. However, with digital, and Auto Focus technology, you can look at your images instantly and zoom to 100% instantly, or after you’ve downloaded your images to your computer. This gives you a way to practise focusing that wasn’t available in the film era. 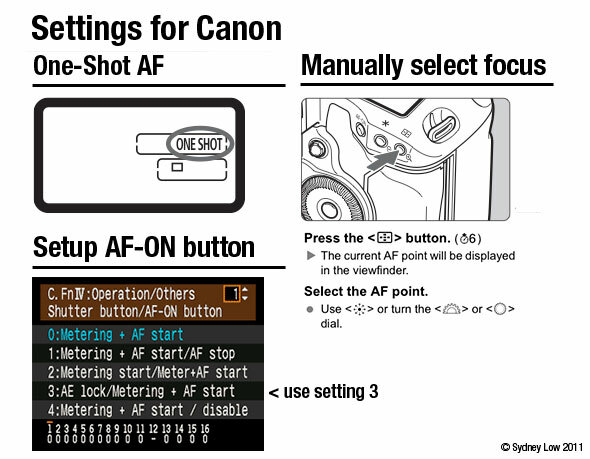 I’m also surprised that in the hundreds of photography books and articles I’ve read I’ve never come across anything that taught a photographer how to use a DSLR’s auto focus function and how to practise using it to get sharp pictures. Repeat 10 times: Take 10 shots of the subject, each time removing the camera from your eye, and then putting it back again. I don’t want you to just hold the camera to your eye and press the shutter 10 times. Now check the focus. Are all your 10 shots exactly the same? In focus, no motion blur? Here’s a set of photos I took of my computer monitor at various shutter speeds. As you can see, hand holding a 70-200mm lens at 1/25th is perfectly doable, without vibration reduction. And here is a typical image I would discard for being out of focus after reviewing it at 100%/200% crop. This is a great exercise because you’ll get to know your lens and how far you can push hand holding your camera before you’ll need a tripod or other support. You’ll also know how slow your shutter can get before you need to use artificial lighting. With practise, you can keep getting your shutter speed slower and slower which is critical if you want to do artistic techniques like panning and zoom blur. In Part 2 I’m going to talk about how to practise keeping focus on a moving subject. Hi Syd. Interesting post and great website, tbh. Could I have a quick question regarding this post? When shooting closer action eg. goals or very close celebrations at a football match using 70-200 f/2.8 do you try to focus on player’s face or on chest is fine enough? I always try to get a focus spot on the player’s eyes. If I miss, it’ll be on his face or head. The closer the person is the more important to get the focus right at 2.8 as everything else will be out of focus OOF. If it’s goal mouth action, a 70-200 will usually give you the whole person as you’ll be far enough away, for this, getting the focus point somewhere on the body will be enough to get good focus. Remember, it’s all about the depth of field you have at 2.8. Check out some Depth of Field calculators and you’ll get the gist. And which AF points do you use to archive described results? I’m especially interested what you do for goal and celebration combination of shots, because it sounds a bit tricky if players run straight at you. Do you use central AF point, or any left / right for goal mouth action and then change it fast into higher one to focus on eyes or face for celebrations? Or do you set one higher AF point on this “second” body and use it in both cases? HI Greg – on the 70-200 it’s almost always on the central point. I use 21 points assist on my Nikon. I never have time to change focus spot. I shoot tight anyway and all I do is focus on the faces. Keep practising – it’s pretty easy to do this with football. Go to a junior match, sit on the sideline. Around mid pitch is good for practising as you see a lot of action. Don’t sit on the end for practising as you may not see much action. 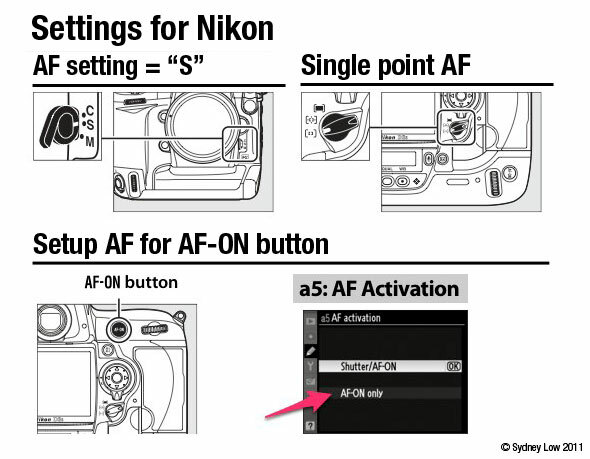 Shouldn’t you need to DECREASE your ISO, if you’re slowing down the shutter half a stop at the same aperture? Roberto – you’re absolutely right – that should be decrease your ISO accordingly.